Happy Vintage Inspiration Party Day. We are so glad you are here – thanks for joining us! Before we get started with today’s party, I wanted to let you know that I’ll be having a giveaway tomorrow for Cutting Edge Stencils that you won’t want to miss! I also want to remind you that I’m hosting 2 link parties this week! In addition to today’s Vintage Inspiration Party, I’m also hosting the Best of DIY party that starts this Friday evening, and your links will show up on 27 of the finest blogs around, so I hope you’ll link up at both parties! Today, your links will show up on all 4 VIP host blogs, and we can’t wait to see what you have to share! 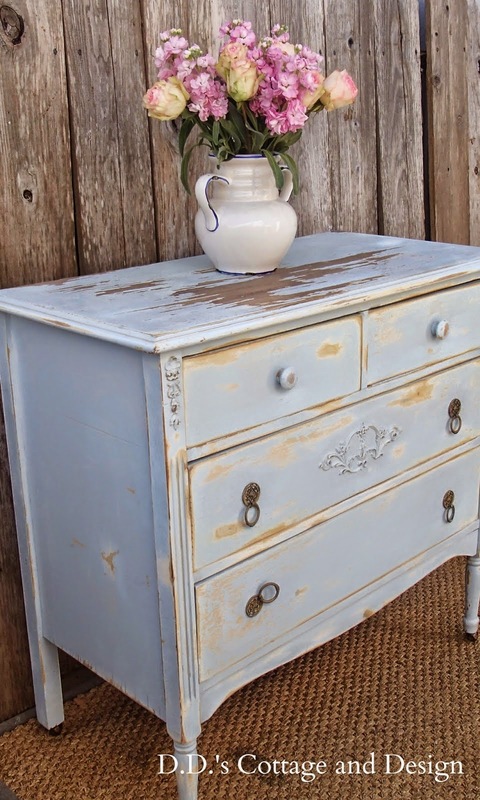 D.D.’s Cottage and Design shared the sweetest dresser. 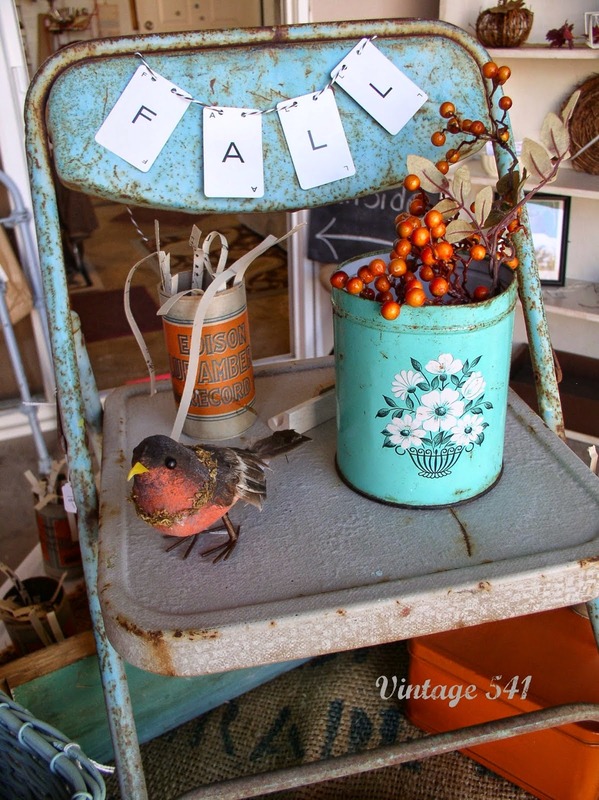 Aqua fall decor from Vintage 541–yummy! 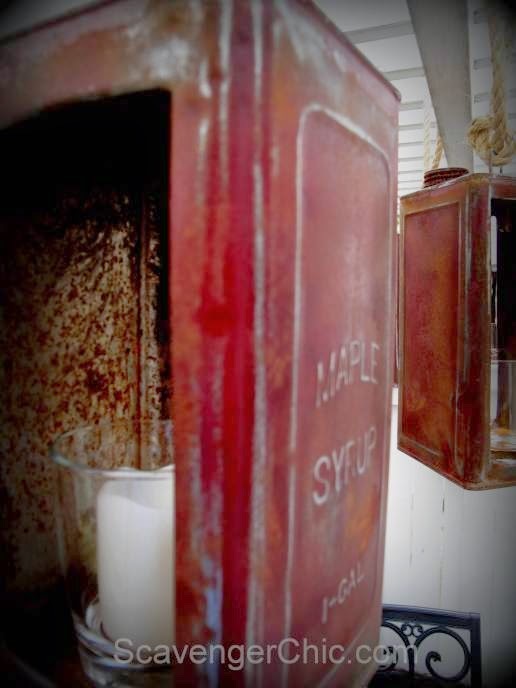 Scavenger Chic made some upcycled maple syrup can lanterns. If you were featured, feel free to add this button to your blog! 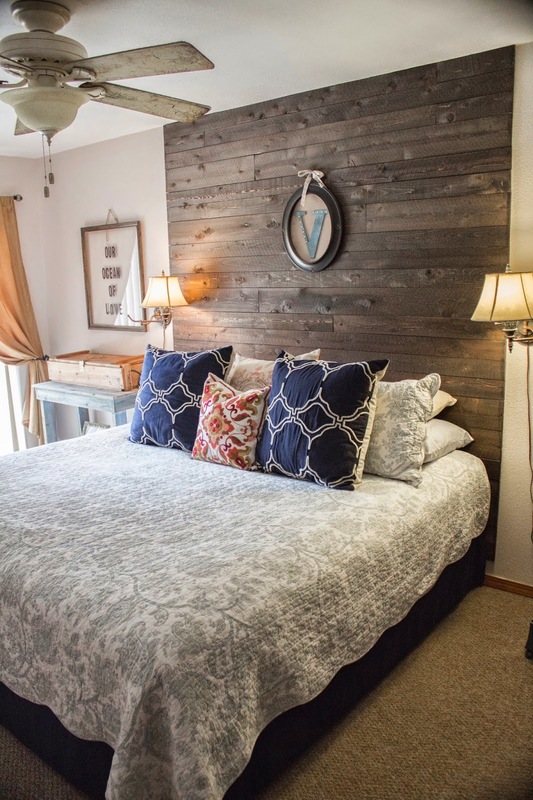 can also share projects that were made to look old, including repurposed and upcycled creations. things made or done by a particular person, organization, etc. awhile or just looks that way…share away!! No food links please. Thanks so much for the party ladies !!! 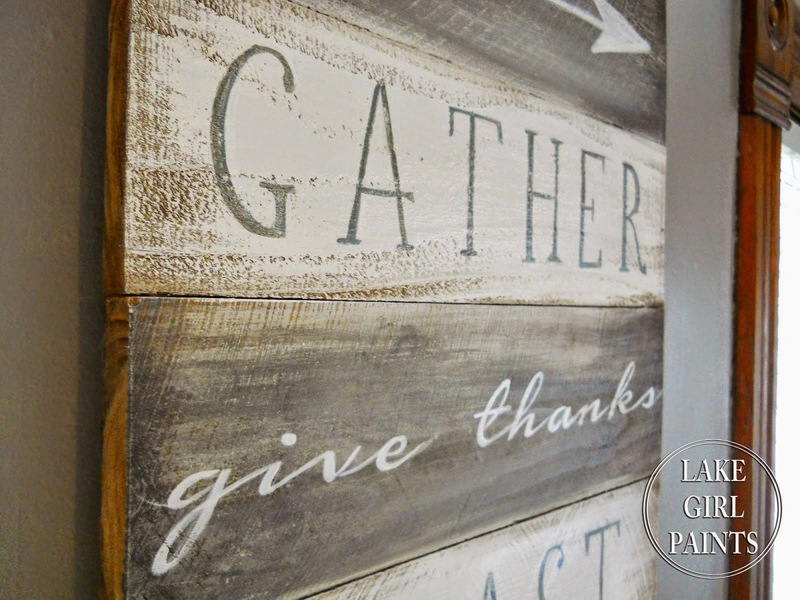 Thanks for the shout out on my Maple Syrup Can Lanterns and thanks for hosting this Link Party. I just began to blog in July and just starting to join the link community. I love your features, ladies! Thank you so much for hosting! The turquoise metal chair was a favorite of mine last week. Thank you all for hosting.